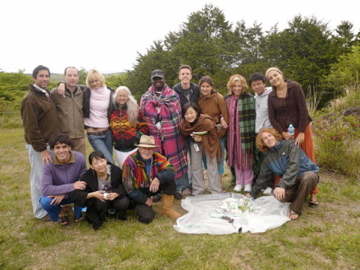 Children of the Earth gatherings are joyfully transformative experiences, an opportunity to create deep connections and form meaningful action plans with other like-hearted youth from around the world. Creating space for youth to come together is an important part of our vision of igniting spiritual activists. Gatherings usually take place over an intensive week: creating sacred space to explore within, learning from Elders and one another, and participating in peacebuilding, activism, and personal growth training. Besides, ask anyone who has been, these are peak experiences of fun and friendship building for life!